American Plumber is a trusted name in water filtration that offers you peace of mind with their high quality products. The American Plumber DW-200-R retrofit cartridge is specially designed to fit the Cuno AP-200 and PurWater PW-200 to provide better tasting drinking water. Also protects your appliances by reducing rust and scale build-up. 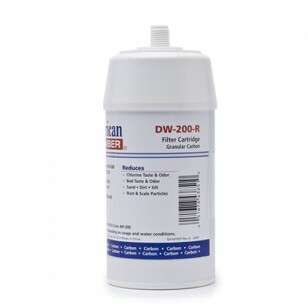 The AMERICAN-PLUMBER-DW-200-R does not reduce fluoride.